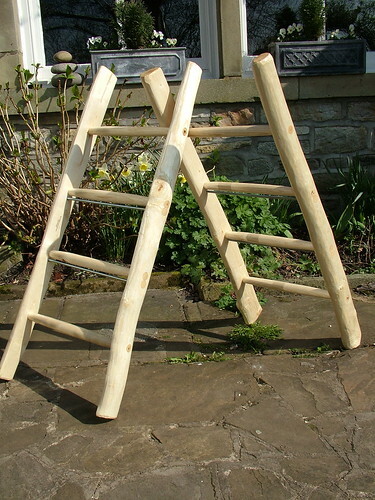 Here are two Ash ladders I made for a nursery school and delivered on Friday. I like the way when a log is split the released tension means the two don’t exactly fit together again. I put a couple of threaded rods in each one to prevent them opening apart. 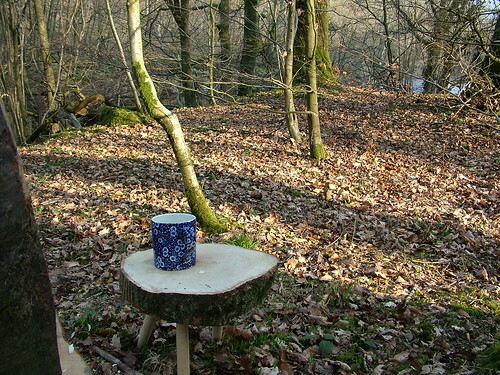 This was before it was finished, to give an idea of the size for Sandra. 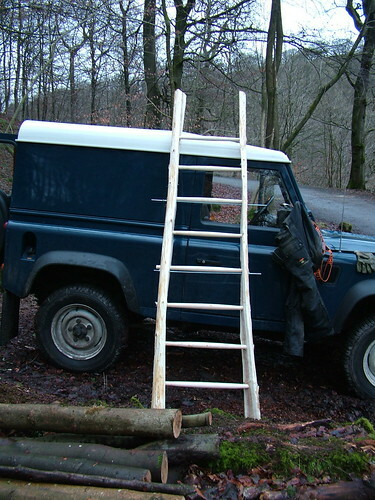 This entry was posted in Green woodwork, Spring and tagged ladder, land rover, pint pot by Flying Shavings. Bookmark the permalink.